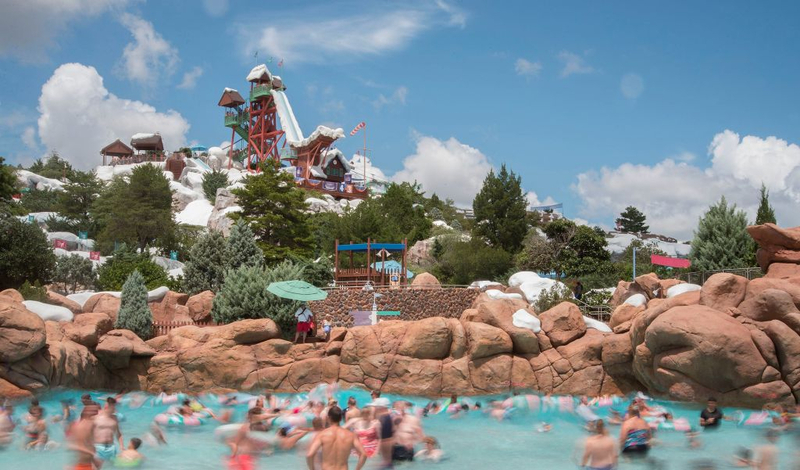 Blizzard Beach is one of two family-friendly Walt Disney World Water Parks. Enter a charming ski village at the base of Mount Gushmore and its highest "slope:" Summit Plummet. From chalets covered in snow to a Chairlift up the mountain, this icy park is the perfect place to make heartwarming memories.